Aside from working with curriculum specialists to align our content to the Australian National Curriculum, our Content Team has been busy adding new content to Skwirk to inform, engage and inspire! Our team has been focusing on ensuring we have content to support events and observations such as the ANZAC Centenary and Reconciliation Week. Our chapters on these topics now showcase 10 videos from the State Library of Queensland and 4 from Reconciliation Australia. Marvel at our universe with over 20 new videos from leading global astronomy organisations such as the European Southern Observatory (ESO) and the Square Kilometre Array (SKA) project (e.g. Australian SKA Fly-through). Lastly but certainly not least are our exciting new games designed for students in years 3&4. 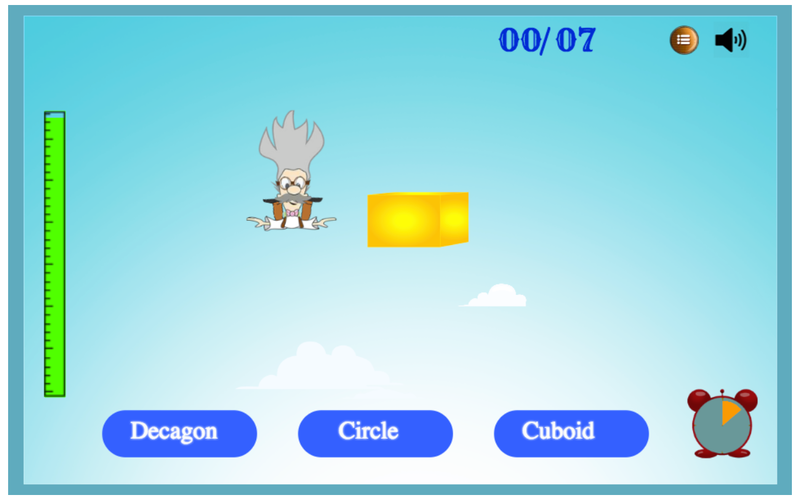 Test your identifying shapes skills with shape Sky Dive, click here. There are many games yet to come; look out for Maths Rally and Asteroid Blaster, all coming soon. In addition to fantastic new content, over the coming months you will see many exciting changes to Skwirk including new website features that you’ll want to make sure you don’t miss. Follow us on Twitter and Facebook to get regular updates! Feedback is always appreciated – let us know what you’d like to see more of on Skwirk! Email us at info@skwirk.com.au.